A totally ASYMMETRICAL die. 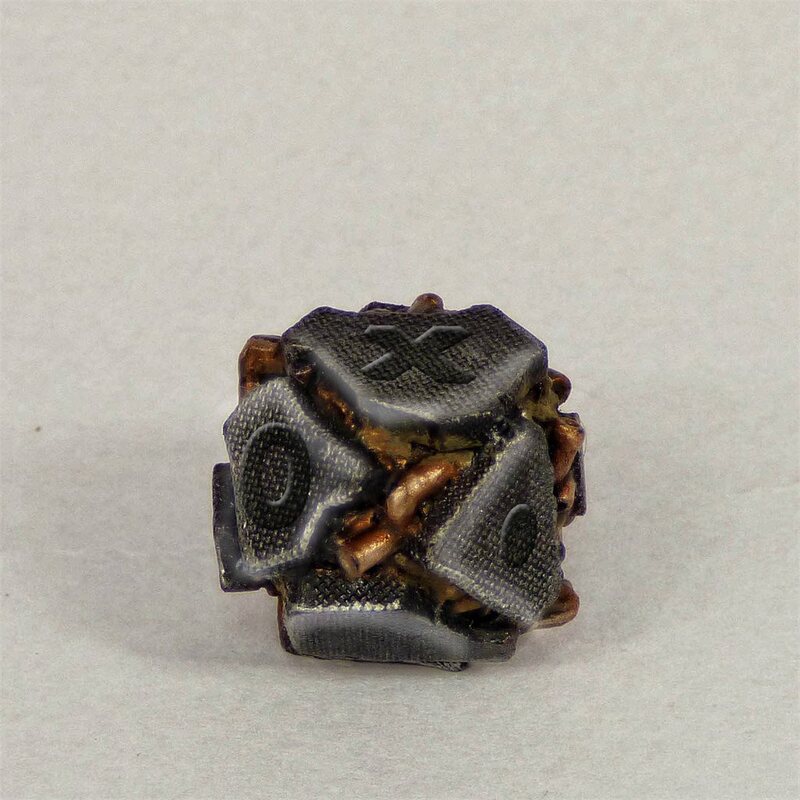 It has small and large sides and no central center of gravity, it also isn’t perfectly flat, it has bulges and looks like a piece of a rubble or debris with some twisted pipes and damaged home equipment parts sticking out of it, more than a die used for board games. Of course it still has geometry that causes each roll to have a unequivocal, clear result and the die will never stop with no apparent result visible. 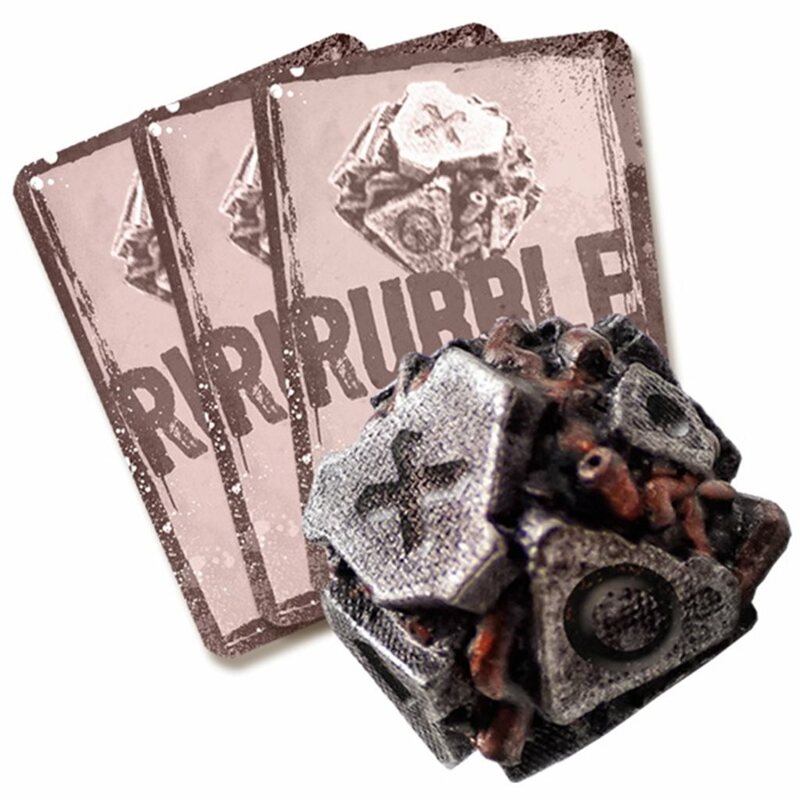 In the game’s mechanics this Rubble Die represents a decision to sacrifice some time while searching through a location. We risk more than usual but instead we can find something more. You roll the die. In most cases the roll will mean one of the more probable results but from time to time a VERY HARD to get result will be rolled and with it we will trigger an extremely rare finding or an event. 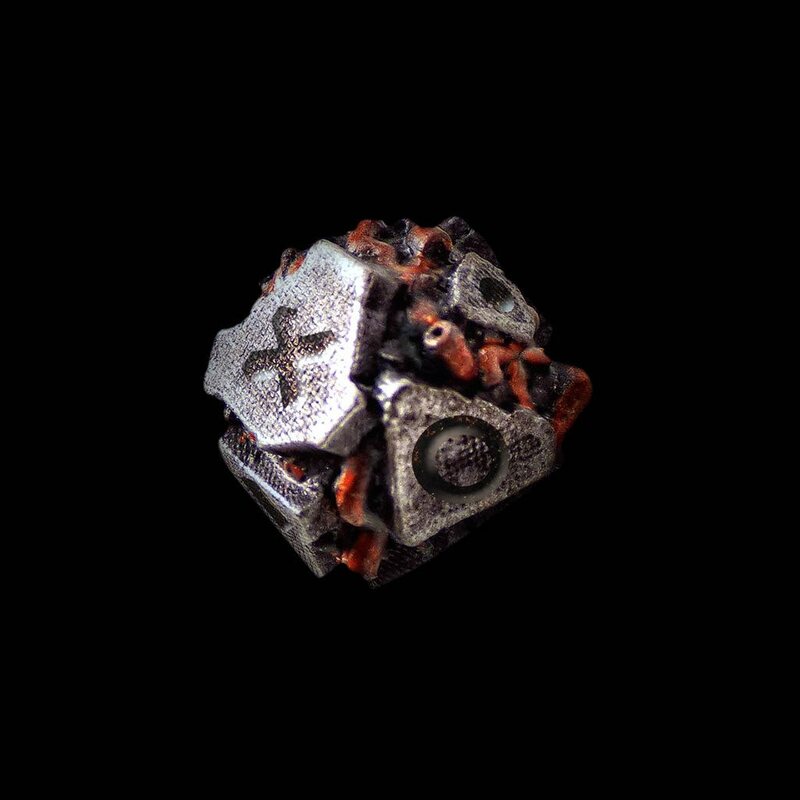 The description of the symbols on each of the die’s sides will be printed on the cards that will come with it. Not all result of the rolls will be to our liking. The Rubble Die brings certain risks with it and VERY RARELY a highly unpleasant adventure. Ruble die will come originally painted, so that you can see everything clearly.